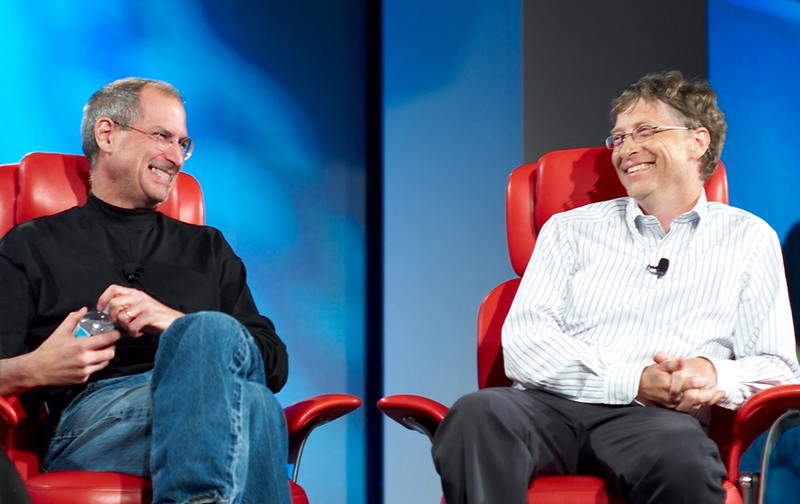 A musical chronicling the rivalry between Bill Gates and Steve Jobs will open on Broadway this spring. Pegged a “musical dot comedy” by its producers, Nerds portrays the story of both tech legends’ careers, highlighting the competition between them. In keeping with the protagonists’ innovative backgrounds, the show features holograms of Jobs and Gates, as well as using other technologies like projection mapping on-stage. Extending the tech beyond the stage, the audience will be encouraged to download an app, which will allow them to join in with what’s happening and guide the plot. With no detail on how the show’s creators have injected some comedy into this famous rivalry and no sign of the cast being revealed just yet, we’ll have to use our imaginations for a little while. The show, which has been in development for more than 10 years, will move into its new home at the Longacre Theater in New York City on March 31, with opening night scheduled for April 21. Tickets are already on sale through the Nerds website.